Editor’s note: Alternate Reality Gamers debating whether to explore the newfound Interact-Fic site will be glad to know ARGNet staff writer Jessie Greene recently caught up with the creators to see what they could tell us about the not-entirely-new concept. ARGN: With the interest generated by your site, prospective players would like to know about the creators. Tell me about your team. IF: Well, this is an easy one. There are three of us: Tyler, Dalton, and Christine. We’re all 27, and we met in college. We became best friends. We live in the same town now. We all have different jobs, but we get together on weekends and some days after work to work on Interact-Fic, writing and planning and stuff. ARGN: What’s your inspiration in creating Interact-Fic? IF: Dalton and I (Tyler) picked up a copy of Cathy’s Book in the store, very excited because we’re both huge ARG fans. We took turns reading it, looking through the evidence, and calling the numbers. However, we were a bit disappointed to find that there wasn’t very much of an ARG element, in the way you normally think of one. It was immersive, but there wasn’t much of a game. At least, not that we could find. So, we were discussing this with Christine, and she said that we should try to create our own kind of interactive fiction. We’d incorporate the real-world elements (phone numbers, web sites, et cetera) into the narrative of the story, in a casual way. We’d post a different chapter every day, or thereabouts, and readers could either just enjoy the story for what it was, or choose to play along with the game. ARGN: Your site describes the concept of a game that can be revisited and re-experienced. Can you elaborate on how you will do this? IF: That sounds like a very interesting concept, but that’s not quite what Interact-Fic is. Cathy’s Book seems more like what you’re talking about. Interact-Fic, on the other hand, is a bit different. The story of the ARG can be re-read over and over again after the game has concluded, but once the final chapter is posted, there will no longer be any live ARG elements. Web sites will be left up, voicemail boxes will still be operational, but there will no longer be any character interaction. In that respect, when the live part of the game has concluded, it becomes somewhat like an online version of Cathy’s Book. Phone numbers, websites, et cetera. The thing that makes Interact-Fic unique is that, while you’re reading the story, you can talk with characters and uncover more about the plot online. In Cathy’s Book, after you finished what was undoubtedly an excellent story, you get to visit web sites which make sense in the context of the book. The web sites and phone numbers don’t extend the plot very much, though. In Interact-Fic, calling the phone numbers and visiting the web sites allows the Readers to get more information about the plot. The fact that you can’t read ahead also makes Interact-Fic unique; while you’re waiting for a chapter to be posted, you probably want more of the story you’re enjoying. So, you visit websites, interact with characters, et cetera. With Cathy’s Book (which I hate to keep using as an example, but…), when you finished the book, that was all. We figured the biggest problem with how Cathy’s Book was set up was the time frame. As the ARGNetcast said at one point, how long do you keep the phone numbers operational? How long before you take down the web sites? At that point, the book itself becomes like a standalone novel, with no point to it other than a good story. With Interact-Fic, the phone numbers and web sites are only necessary while the story is being played out. You’re reading the book in real-time, as it happens. Once the story finishes, you don’t need to still be searching for clues; everything will have been revealed. ARGN: What kind of obstacles have you faced creating a work of ARG fiction that can also stand alone (sans immersion)? IF: The biggest problem, really, was figuring out how to make the immersive part of the ARG rewarding without making it necessary. Like The Lost Experience, giving away too much of the plot on the side would render the story itself useless. So instead, we’re going to offer Readers a chance to interact with the characters. They help characters figure things out and comfort characters when things go wrong. They befriend the characters, and they have the ability to influence the story. A traditional ARG would have the character posting a blog or something to give players information about things that have happened to them. Interact-Fic allows for an omniscient perspective; the web site reads like a novel rather than just a blog. It shows different points of view of the same event. It gets inside the heads of characters as events are happening like a novel does, not just giving hindsight like a journal would. ARGN: Will some of the story be lost if a reader chooses to not follow the live game play? IF: Absolutely not. That was one of the things we agreed on from the beginning. The story has to be the main point. If a reader wants, they can just read the chapter postings. The mystery will be made clear by the end. Live game play will provide them with clues as the characters find them, and they can help characters find information, but everyone’s going to be on a level playing field again each time a chapter is posted. ARGN: Do you have sponsorship? IF: No, we don’t. Unfortunately. But that’s ok, we think everything’s going to work out fine. IF: A sneak peek? How did I know you’d ask that? Like, a portion of the story, or a plot summary? I’ll go with a plot summary, even though I’m sure you want a part of the story. I can’t give that away without probably accidentally starting readers on the interactive part, and making Dalton wanna kill me, so here’s the next best thing. One morning, four teenage friends wake up to a message from beyond the grave. Someone’s been killed, and for reasons they don’t really understand, they’ve been chosen to find the killer and stop him before he kills again. They’re told that he will kill 22 days from the message, and they have to stop him before that. “Day 21” has comedic, romantic, and above all, supernatural elements that (we hope) will enthrall readers. They’ll be able to send emails and IMs to the four friends, and they’ll attempt to contact other people only tangentially connected to the plot. The Readers will become characters themselves, even being mentioned by name in certain chapters if they’ve helped our characters figure things out. 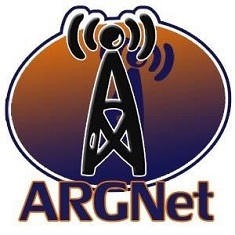 ARGN: Thanks for the interview!